It is a question I get asked a lot by my post natal clients. When can I start running again? It’s a toughie. On one hand, I completely understand the need and want to get out running again. If you love being active, pregnancy can feel like a life sentence of inactivity and then some miserable person (like me) suggests you wait a little bit. If you use running to boost your mood, then surely when your new mummy hormones are running riot, a run is a great idea. Right? Hmmnn… (puzzled emoticon). I’ll be honest with you. The day after my 6 week check after having Isaac I put on my trainers and ran like a crazy person. It felt sooooo good. But subsequent training for a 10k left me pretty sore. I ignored my painful pelvis and had weird stuff going on in my hips until I stopped running completely when I got pregnant with Naomi. I wish I had listened to my body. I’m going to give you the facts and leave you to make your own choice based on your body. There are four things to consider about running and the post natal body. C-section or vaginal delivery, your pelvic floor will have been under pressure throughout your pregnancy due to the changes in your posture and the way your full uterus will have put pressure on your pelvic floor muscles. Pelvic floor muscles and a pelvis that would have already been weakened by the hormone relaxin. Excess weight, the size of your baby, the age at which you delivered your first baby, intervention like forceps/ventouse or for some, a sensitivity to pregnancy hormones can all put extra strain on your pelvic floor. Running on an already weakened pelvic floor is a really bad move. It’s just likely to put extra strain on the area and could increase pelvic floor dysfunction like incontinence or prolapse. One of the reasons I became so fascinated with the post natal pelvic floor was my surprise at the number of fit women in their late 30s and early 40s who came to me, having starting running/getting active after their babies were born and realised they had a minor prolapse. It’s really common. Your posture inevitably changes during pregnancy. There’s all that baby weight pulling your spine forwards and tipping your pelvis. Running on a wonky skeleton will only exacerbate any issues and probably lead to the physiotherapist’s table. Your body is different post baby to pre baby, it won’t feel the same. It’s estimated that relaxin, the hormone that makes your joints/muscles/blood vessels lax remains in your body for up to four months after you give birth or stop breast feeding. High impact exercise is not nice on joints which are already under strain and could lead to inflammation. Running takes a lot of energy, both calorific and get up and go energy. If you are breast feeding, it’s important to re-stock any lost calories fast after you exercise. If you don’t you’ll feel shattered and probably reach for the chocolate box. If you aren’t getting much sleep and start running regularly, it could add to the exhaustion. I don’t want to be the miserly running police but I do want to ensure you get the best advice out there. Running is awesome. Exercise is awesome. But do give yourself time to recover before you get back to it. Check out the New Mummy Diet for more help on getting back into shape after having a baby. For information on classes check out Karen’s About page. “I must be right. Never an aspirin. Never injured a day in my life. The whole country, the whole world, should be doing my exercises. They’d be happier.” – Joseph Hubertus Pilates, in 1965, age 86. Well my classes aren’t anyway. I used to teach in gyms but always got frustrated that I couldn’t help my regulars progress as much as they could have done because of the restraints of newcomers popping in and out each week. This isn’t a criticism on beginners wanting to get started (or on my lovely committed gym goer participants). Regular readers will know I love beginners and I’m all for just moving a bit more. That is indeed my fitness mantra. But Pilates is a system of exercise best served with regular practice and experience and it’s no surprise to me that the participants who re-book, reap the rewards of Pilates, rarely (if ever) get injured and who are my class superstars, are those who are there week after week and NEVER ask, ‘do you do pay as you go?’ [The answer, by the way, is no]. Consider gardening. You could dip your toe in, plant a few bulbs and hope for the best. Spring comes and a few bloom but you never really figure out why they’re a bit average and what happened to the 80% that have just bolted and failed to flower. Or perhaps you plant some herbs. Another good starting point. You get a bit of fresh rosemary but your mint goes to seed, the thyme dries out and caterpillars destroy what was left of your basil. This is pay as you go gardening. There’s a little reward but when it goes pear shaped you wonder why you bothered. If however you learn from your own mistakes and experience, ask advice and questions from those with more experience, immerse yourself in books or magazines and just get out there a bit more often to spot the garden critters and changing environment, your efforts will bear much fruit. And so of course it is with Pilates, as with any structured exercise programme but particularly with Pilates (and I know of course I’m biased here), commitment and practice lead to progression, results, understanding, awareness and that all important flow. Suddenly an hour slips by in a couple of breaths; an advanced exercise you’d previously considered impossible feels achievable and really great; and your body feels – well just amazing! It’s like your body can breathe and you sleep so deeply. If you’ve experienced our Fit School ways, you know we’re about progression. Our classes are programmed to progress and build. There are tweaks and different ways of doing exercises. There may even be a change of instructor or pace but it’s all leading to the same end. A little progress from the week before. I do of course understand that work commitments or childcare can make ‘drop in’ or ‘pay as you go’ the only realistic option and of course it’s better than none at all. 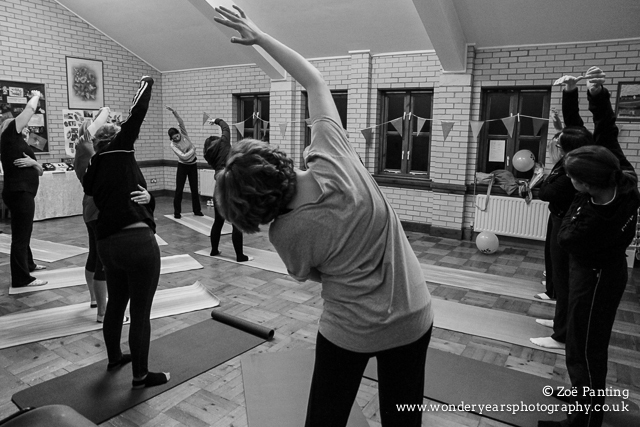 But if your back is troubling you, you plan on running a marathon or you’re trying to get to grips with your post natal rehab, regular, committed practice is key to bearing that magic Pilates fruit. 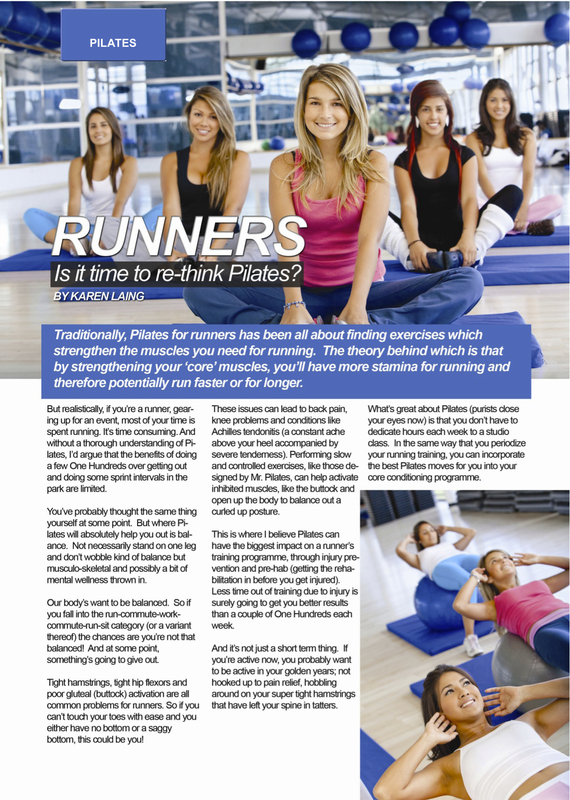 PILATES IS NOT JUST ABOUT TRAINING YOUR ABS. YES THEY ARE PART OF THE PROCESS AND AN INTEGRAL PART OF MANY EXERCISES BUT THERE IS A LOT MORE TO PILATES THAN YOUR TUMMY. There are some exercises which look or feel similar to abdominal crunches and there is a place for abdominal strength and control when it comes to a healthy body but no amount of Pilates style ab work will send your six pack pinging out of your torso if you have flab on it. Myself included. Conversely, abs don’t have to be strong to be seen. I’ve seen six packs on lean mean who can perform fewer exercises than the average post natal mum returning to the mat. And let’s not forget the best sprinters in the world who have abs you could dry your clothes on but who I very much doubt do the numbers of crunches I’ve seen performed in the average gym abs blast class. Aside from whether or not you choose to attend or deliver a class comprised entirely of abdominal work, let’s consider the issues associated with some abdominal work. Yes, those pesky pelvic floor muscles. Any pelvic floor weakness or prolapse, or an abdominal separation (diastasis recti) will not appreciate (understatement) crunches. If want to know more about this have a read of my post on how NOT to get a flat tummy by doing sit ups. That’s not to say you can never do them again – but a post natal specific programme is essential before rolling headlong into a ‘one size fits all’ Pilates session. Pilates is about balance. Your body is designed to move across many planes. Forwards and backwards, side to side and twisting. Think about a gymnast on a beam or on a pommel horse. Consider how they move their bodies. Come to my classes and you’ll know that we work through a variety of exercises as if your body was being spun around. Why? Because we are ‘multi-planar’ beings and things go wrong/start hurting/get expensive when we STOP MOVING, not necessarily when we get weak (I’ll talk about this more in my next post about core strength). Now of course if training your abs lights your fire and makes you feel good, by all means do it but equally don’t misunderstand Pilates as an abs workout and then leave feeling a bit disappointed. Enjoy the way your back works and your glutes work. Enjoy the way your body moves. Go with the Pilates flow. Next time … Pilates isn’t about core strength. BACK pain is one of those nasty conditions which bites most of us at some point in our lives but for some it’s chronic, debilitating and just plain miserable. Is Pilates really the cure all that we hope for when we’re suffering? Second to post natal rehab, back pain or back injury is the most common reason that newcomers find my classes and take action. As a very dear friend of mine always said, ‘pain is the best motivator for exercise’ and she had a good point. BUT (and yes it’s a big but), Pilates does not cure backs, improving core strength does not make pain go away and Pilates is definitely not a replacement for physiotherapy. Before you start Pilates following a back injury you’ll need a diagnosis and/or a sign off by your medical professional that you are fit to exercise. Back pain requires a long term management strategy. I’d be lying if I told you Pilates could fix you, rather it can be fantastic as part of a long term pain management approach alongside other lifestyle changes. Dull hey? There’s no fad or tabloid worthy headline here. Back pain is not an injury you can fix like a broken leg when you were 12. Instead it’s a condition you need to accept and find ways to work around. Do bear in mind however that most adults have some degree of disc bulging or wear and tear. We could all be exercising with a minor disc prolapse but never know it. Our backs are strong and designed to last a life time. So you first visit your GP and get referred or you go straight to a physiotherapist. In a nutshell, physiotherapists are like musculo-skeletal doctors. They cure with physical treatments and exercise recommendations not pills. This might sound blindingly obvious but a physiotherapist can not cure your back like a course of antibiotics might cure a throat infection. So at stage 1 of back pain you already have exercises to do, at home, between sessions which will help the repair process. The more you do your exercises, the quicker you’ll be on your feet. When you are beyond the acute (really painful) stage you might be referred on to a hospital based Pilates programme or you might be signed off with a recommendation for Pilates or similar. So at stage 2 there are still exercises to do. At home or at the gym. But you need to keep doing them. You get advised to improve your core strength. You may have even skipped stages 1 and 2 and gone straight to here. This is where Pilates becomes an option. However, core strength is a bit of a fad that doesn’t really exist, I’m not sounding very positive today am I? Core strength conjures images of a super iron girdle which you can get so strong by doing Pilates that you’ll never feel back pain again. The problems with this theory are that a) this girdle doesn’t exist; and b) immobility is the enemy of back health. I’m not suggesting it’s time to launch yourself into a dynamic Pilates class but fixing (as in making more rigid) your painful joints will not serve you long term. Instead we can use Pilates and physiotherapy exercises (that you need to keep doing between sessions) to get your body to a place where you can move, rather than using it to make you even more stiff. Keep doing your exercises … forever! Visit your occupational health team at work and get a work station assessment. Can’t fit Pilates in at home, get a group together and get a Pilates instructor in to you. Consider what else you could do to help your back. Is there another health concern you need to get sorted in order to get you more mobile? Could you swim during the week? How’s your bed, your shoes or your bra? These can all be massive contributors to back pain. Fit School is planning a seminar on long term back pain management (we hope it will have a sexier title than that) so if you’d like to find out more visit our Facebook page or contact us via the contact form below. THIS week, across all my classes, there’s a bit of a theme. Clue: They are behind you and you need them to move your arms. Anatomically speaking I’m referring to your scapulae, without the latin they are your shoulder blades. Any arm or shoulder movement is dependent on your shoulder blades. From golf to gardening, running, or even drinking a cup of tea. Conditions like headaches, tennis elbow, rotator cuff injuries and even arthritis can all originate in dysfunctional shoulder blades. And the basic problem? They don’t move. This is why many Pilates exercises incorporate arm movements and why, during classes we spend a lot of time mobilising the upper body and taking care to position arms, elbows, shoulders and necks in a specific way. Now to be honest, this is way too big a topic to unravel in one blog post and I don’t intend to. Instead, I’d like to offer you some food for thought to take into your classes and every day activities. Even now, as you read this, how are you sitting or standing? Think about your little shoulder blades. Where are they right now? And where have they been for most of the day? If you spend a lot of time at your desk, they’ll have been fairly slack as your shoulders slope forwards and your wrists/fingers take the strain. If you sit up straight now and think about letting them drop away from your ears, how does that feel? Stand up and imagine someone has placed their hand between your shoulder blades. Now try to squeeze the hand (you could of course find a willing volunteer). From standing, place both hands above your head as if you were about to dive into water. Now raise your shoulders to your ears, without changing your hand/arm position and then lower your shoulders to create space under your ears. This exercise stimulates the natural winging in and out of your shoulder blades. From your hands and knees (you can progress to toes) prepare for a push up. Now check your elbow joint position. Are they pointing out to the sides or back, towards your knees? If they are facing the sides, your shoulders aren’t in the right position and you’ll always struggle to do a push-up (plus you’ll get really sore wrists). Instead try drawing your shoulder blades away from your ears, squeeze them together just a little and ensure your elbow joint creases are facing forwards. Notice what happens now when you bend your elbows. From your hands and knees, thread one arm through your torso as if you were threading a needle, bending the other elbow to enable your shoulder blade to almost touch the floor, then go the other way, opening up your arm completely to the side. Here’s a post from our Fit School pages, written by Fit School co-director Chris Laing. Most people will experience back pain in their lives. It can vary from an ache, to full on debilitating agony. Long term pain of any kind can lead to depression and many people feel their lives are adversely affected by back pain. According to the British Pain Society, around 10 million people in the UK suffer from back pain on a daily basis which affects their lives. And this can be expensive to UK businesses, with the TUC reporting that British businesses lose an estimated 4.9 million days a year due to employee absenteeism due to work related back pain. It’s a big deal! Known factors that cause back pain are bad posture both sitting and lying down; lifting something incorrectly; and general stiffness and tightness in the muscles above and below the painful site (however it can be as far away as your big toe). There are also many unknown factors that can cause back pain, it isn’t an exact science. It can be a terrifying thing to experience, but you mustn’t lose hope when it comes to pain management. Once you experience pain, you need come terms with it. This is the hardest thing. You need to accecpt that it is a part of you and will be for some time. Until you get to this point, you will be constantly looking for that one good crack or stretch to sort it out. Quick fixes rarely work with back pain. Any back pain requires a long-term management programme. Take it on a month by month basis and see if things are improving. Get your situation assessed by a professional. Only they will have an idea about what could be causing the pain and how to manage it better. Assess everything that could be contributing to your pain and do what you can to manage it. The main culprits are: posture; your driving position; your sitting postion; your working position (maybe get stand up desk); and your sleeping position. You need to put aside some money to pay for treatments or ergonomic aids to assist with the pain. You might eventually want to get a new bed to help with the pain. A good mattress doesn’t cost the earth but it isn’t cheap either. Know and understand which exercises to do on a regular basis. Having a few physiotherapy sessions will not solve your back issues. People often stop doing their exercises once the pain has stopped. If you stop feeling pain, the issue isn’t fixed. You just don’t feel the pain anymore and it can come back at any time. Let go of what you think you should or shouldn’t be doing. I used to scoff at people doing Pilates or Yoga. 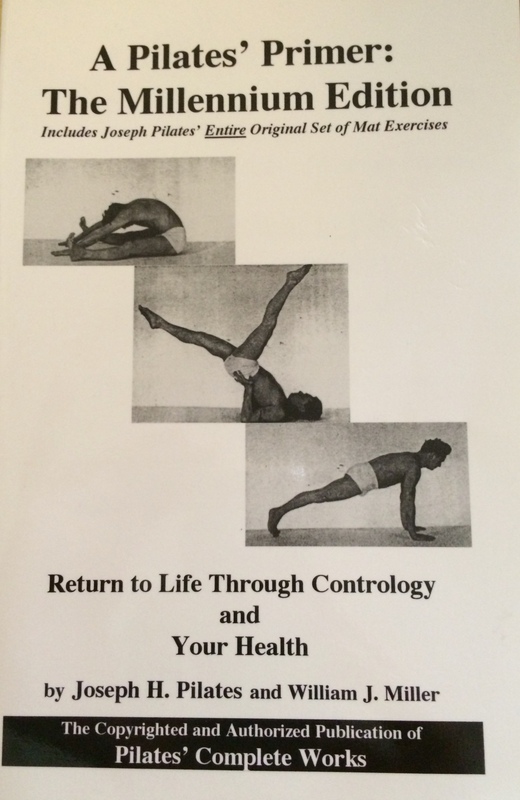 However, since experiencing back pain, I incorporate Pilates exercises into my daily routine. One thing that your back needs is regular movement. This is why Pilates and yoga are a great way to help manage back pain. However, you need to ensure that you address other factors too. We often get asked questions about this, so we are creating a daily exercise routine to help people who are mainly sedentary but experience back pain. It will help manage back pain better and stop back pain ruining your life. If you are interested, get in touch and we’ll contact you when the programme is up and running. Ignoring back pain, taking pain killers or resting it for a bit is not the answer. Nor is doing bootcamps (this is another topic for another day)! So before you try any of these, try addressing some of the factors we have mentioned above. Fit School is run by Chris and Karen Laing. Chris has been Personal Training since 2002. He re-trained after he completed his degree in Business Studies as he was fascinated with the human body and how your health is affected by diet. Chris was always fascinated with body transformations and fat loss and was about to learn more about it as In 2008, he was hired to train and present a celebrity fitness DVD for Claire Richards. Claire was also getting married so he had 3 jobs in one! For years, Chris and Karen were saying that gyms need to focus on creating programmes for people that deliver results, but gyms weren’t interested. Chris and Karen came up with Fit School, a system for people to get results through group exercise programmes which isn’t gym centred. Fit School creates a structure for people, where they only need to turn up and enjoy themselves.